This quiz came by way of the Facebook news feed. I thought I would get it going here on Jude 2 as well. 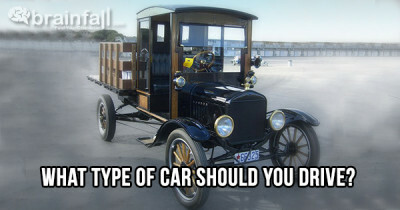 You should drive a Ford Model T.
You are old school. You sometimes feel out-of-step with the modern world and have no desire to catch up. You admire the beauty of days gone past. And the ugliness of the modern world often makes you shake your head.